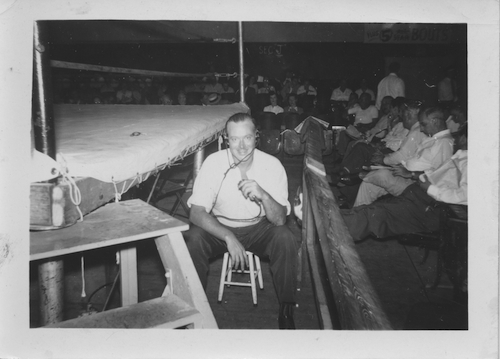 We are proud to announce the launch of our new YouTube page, Chicago Film Archives presents “Wrestling from Chicago.” The channel consists of digitized wrestling films from our Russ & Sylvia Davis Collection, and with one hundred videos already uploaded, visitors will have the opportunity to binge watch golden age wrestling predominantly shot in the early 1950s. 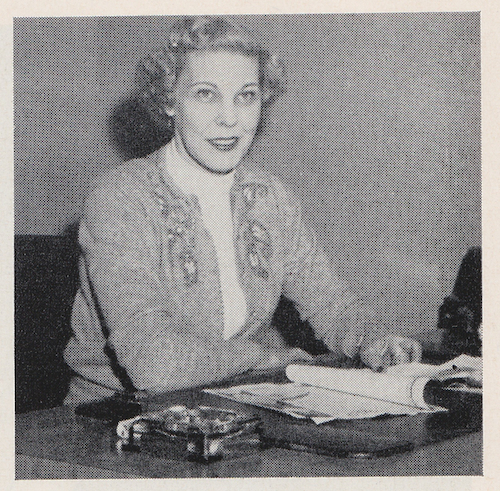 To read more about the history and contents of the Russ & Sylvia Davis Collection, please visit its page here. 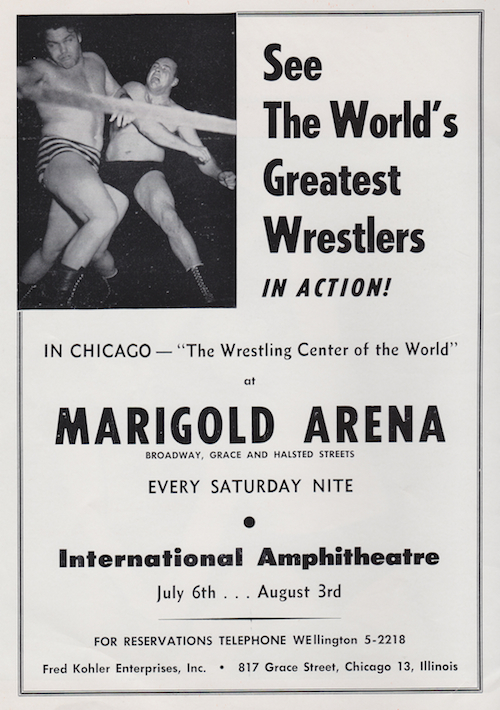 The wrestling matches found in this collection were filmed in Chicago’s International Amphitheatre and feature ringside narration by Russ Davis. 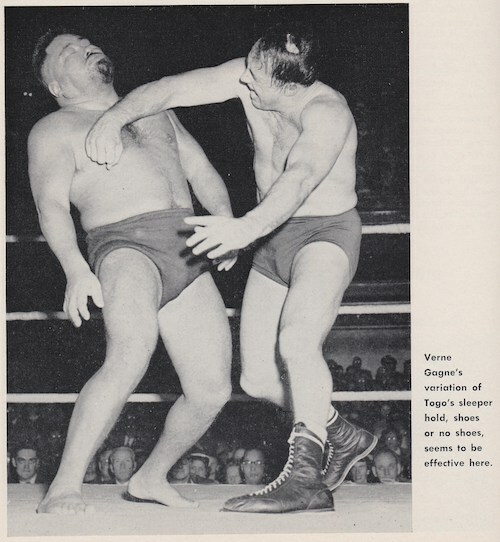 The films were produced by Imperial World Films aka Imperial Wrestling Films (IWF), a production company started by Davis and his wife Sylvia in 1949. 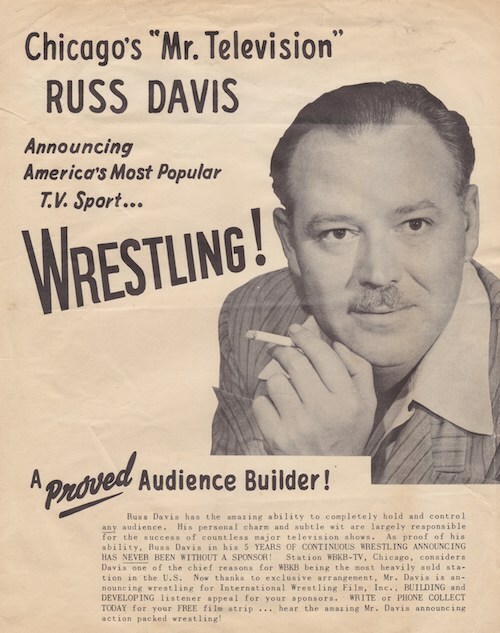 Russ Davis had formerly worked for Chicago’s WBKB as one of television’s earliest wrestling announcers. 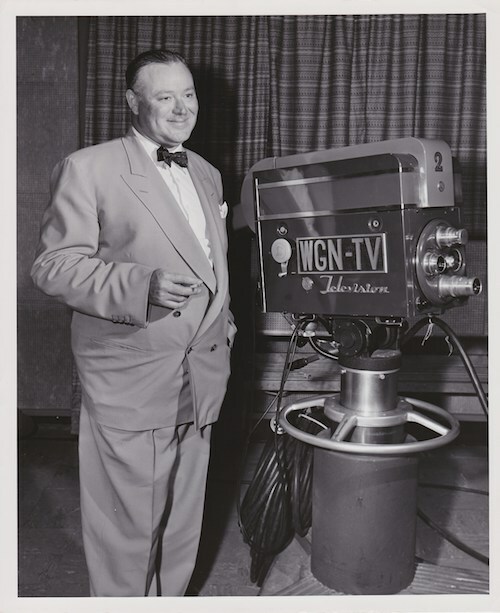 IWF filmed and edited the wrestling events in Chicago and subsequently distributed the finished films to television stations throughout the United States. One challenge in organizing and publishing this collection has been that many of the reels are labeled with identical titles. 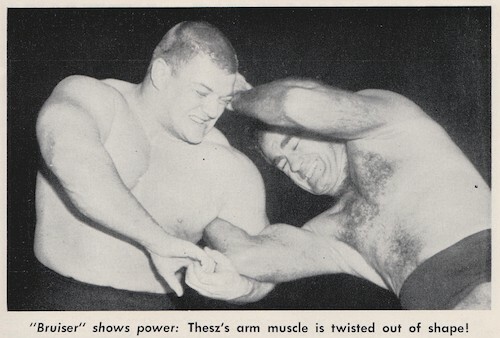 This means that when two reels have the same title, they could be duplicate copies of the same wrestling match, different production elements from one match (negative, soundtrack, workprint), one long match that continues onto a second reel, or a different match that features the same wrestlers. 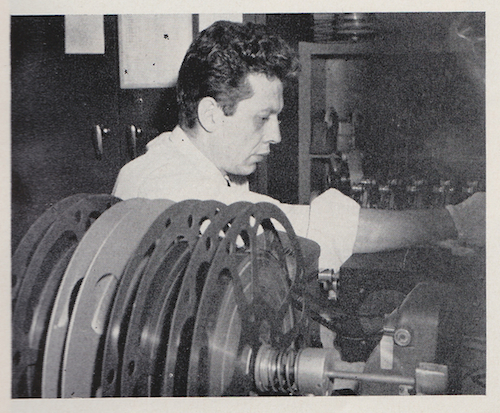 Another publishing challenge was that many of the reels included multiple bouts or match-ups on a single reel. For ease of viewing on our new channel, we edited down these compiled reels into distinct streaming links. Director Frank Diaz edits completed works prints of a wrestling shoot: three reels of house film from three separate cameras along with a magnetic sound track. To effect perfect sound-motion sequence, all four films must be kept in sync during editing.